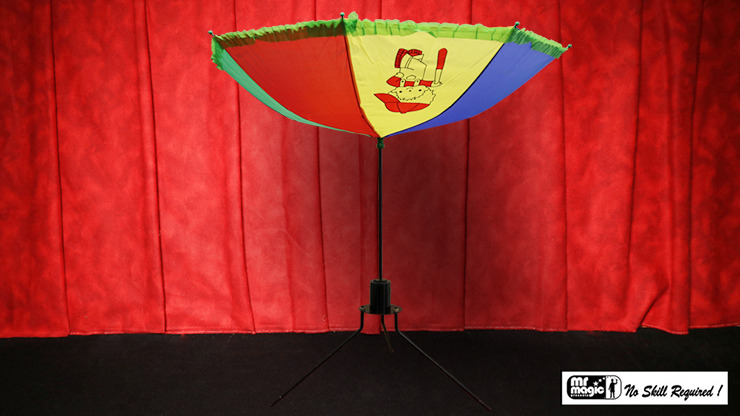 There's nothing like a startling transformation to get your audience's attention right from the beginning of the show, and Cane to Umbrella Rainbow will do just that! 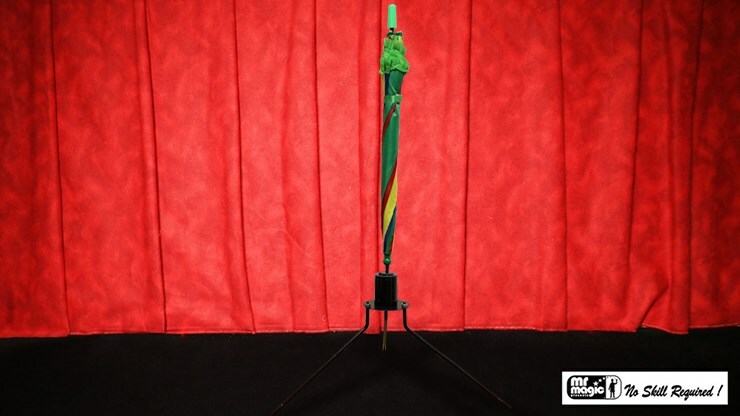 Imagine entering the stage with a black cane upright on a stand with a silk tied to the top. Yet by removing the silk, the cane transforms into a rainbow umbrella, which then opens up and doubles as a holder for light items that need discarding during your act. Easy to setup, yet astounding in effect. Get yours now!